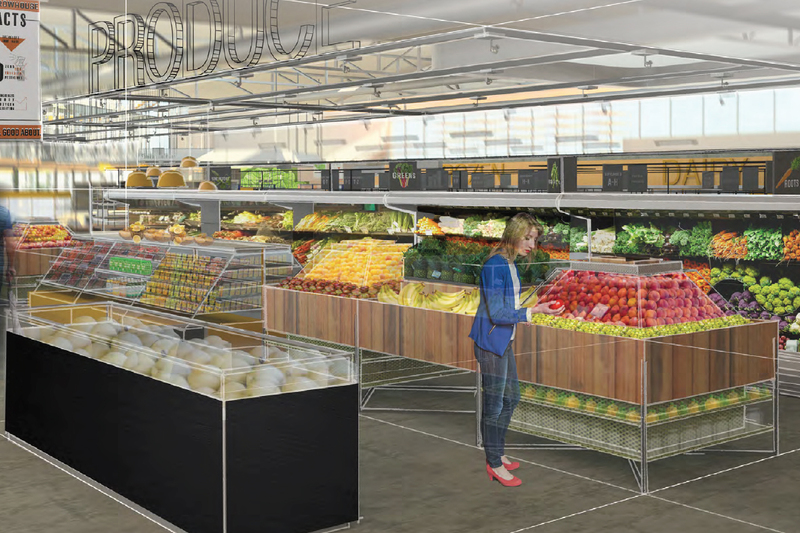 Hand-rendered drawings helped Maria Tatum edge other participants in the Retail Design Institute’s Student Design Competition. PULLMAN, Wash. – Washington State University students recently won all three top prizes at the 2018 Retail Design Institute’s Student Design Competition. The winners were Maria Tatum, Shelby Ruiz and Liana Haugaard. 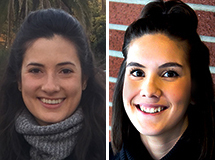 Tatum and Ruiz are graduate students in interior design while Haugaard recently graduated with a degree in interior design. There were more than 50 entries in the competition from dozens of design schools around the United States. The WSU students worked throughout last semester designing a gourmet grocery store, which was the theme of this year’s competition. The theme was inspired by the real-world acquisition of Whole Foods Market by Amazon. “I am really proud of the clean sweep of the top three places by our students,” said Matthew Melcher, associate professor in the School of Design and Construction, who taught the class. Tatum, who took first in the competition, said her focus was on integrating technology with the grocery store based on current and future retail trends while prioritizing sustainability and innovation. The competition challenged her to make something that stood out from the crowd with an eye towards the future, she said. Her design included a rooftop garden, a solar array, an aeroponic farm and designated space for recycling and compost. “Brick and mortar retail is evolving, and as a designer I focused on making the experience engaging for people who want to come in,” she said. Tatum hand-rendered some of her drawings for the competition, which she believes gave the work an authentic and atmospheric feel compared to doing it on a computer. Second place winner Ruiz’s work focused on reducing waste within the grocery store. 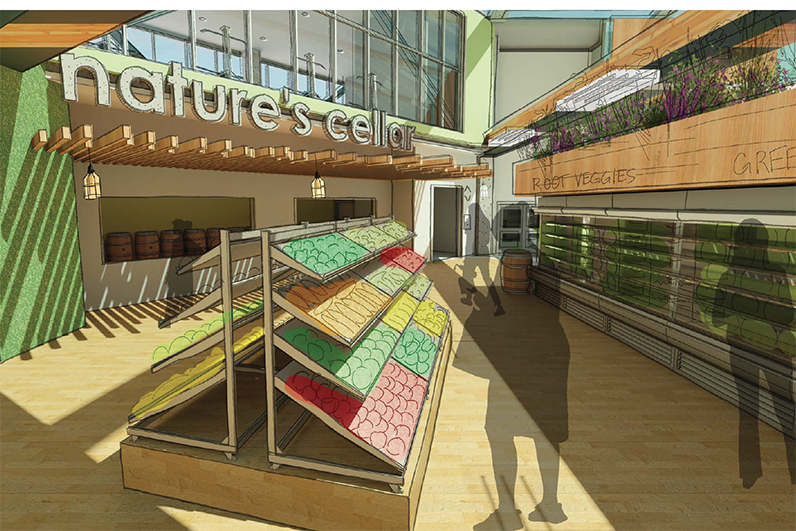 To reduce waste, Ruiz designed a package-free, waste-free store that promoted community, sustainability and wellness. Shelby Ruiz envisions a package-free, waste-free store. Her design includes a wellness center with fitness classes and rotating clinicians, a cantina, a sky garden and tanks for rainwater collection and filtration. The judges told her that her design made them think about waste in their own lives. “It was very touching to hear that my work was thought-provoking and well-received,” she said. Students who designed for the competition needed to understand trends in retailing as well as future end user expectations, said Melcher. Technology and the shopping environment are merging, and designers need to work on retail experiences that stretch across both physical and virtual space, he said. “To win, the students needed to show that they have the ability to take a brand and translate the attributes of that brand into a compelling experience.” he added. Tatum’s advice to interior design students is to keep asking questions and researching thoroughly to find the answers. “That’s how your conceptual thinking evolves,” she said. The winners took home cash prizes and will have their designs featured in an annual magazine put out by the Retail Design Institute. The interior design program has for years jointly delivered design studio classes in collaboration with industry professionals, including Seattle’s CallisonRTKL and IA Interior Architects. Melcher believes these collaborations have improved student outcomes. Over the years, his students have won more than 20 prizes in local, regional and national design competitions.